Forty years after the release of the original movie, Laurie Strode, played once again by Jamie Lee Curtis, faces a final confrontation with her brother and nemesis, Michael Myers, played by Nick Castle. This new version of Halloween begins with Michael escaping from the sanitarium where he has lived for most of his life so he can continue to kill. Laurie has survived when no one else has, and rather than fearing that Michael will come after her, Laurie actually is prepared and even eager to wage war on the psychopath who murdered their sister among many others. She will fight with everything she has to protect her family and stop Michael. Michael Myers began his killing spree as a six year old child in the original theatrical release, Halloween (1978), when he murdered his sister Janet. Confined to a sanitarium for fifteen years, he escaped with only two goals in mind, to find his sister and to continue his murder spree. The next few movies weave a mysterious and horrifying mythology around the characters, culminating in a reboot of the series in 2007, with a sequel, Halloween II, in 2009. 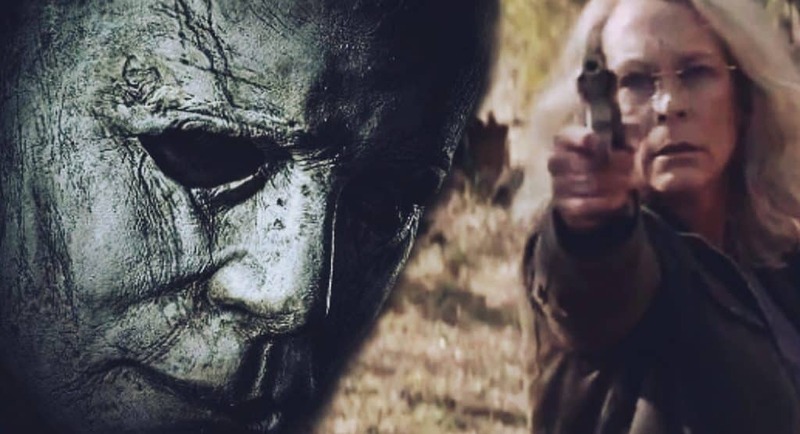 This second reboot of the franchise that has sparked eleven movies to date, plus novels, comic books and video games, Halloween (2018), arrives in theatres next weekend. What a perfect way to get into the spirit of the season-just leave younger children with the sitter because this movie is rated “R” for violence and gore.